Moto X Style 2015 is the latest android smartphone from the Motorola and successor of Moto X smartphone. It’s bigger, faster and better, and packed with 5.7-inch Quad HD display with 1440×2560-pixel resolution with 1GB or 3GB RAM and a Qualcomm Snapdragon 808 processor. According to the company the phone, the new phone will available in the market on September 2015. The phone has the good build quality and available in two versions, 32GB or 64GB internal storage with micro SD card support up to 128GB. 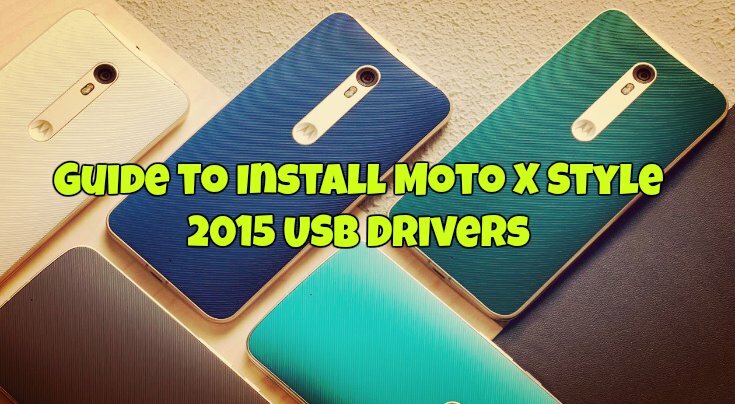 Here in this tutorial we’ll show you how to download and install the proper USB drivers for Moto X Style. Without USB drivers, you can’t connect your phone to the PC and can’t manage the files between PC and Phone. To establish the connection between windows PC and Moto X Style you nee a proper USB drivers. This guide will help you to download and install latest Motorola Moto X Style drivers on your PC or MAC. The guide is pretty simple and takes a few minutes to setup the USB drivers on the PC. All you have to download one file from the Motorola website and run it on your PC/MAC to complete the setup. Downloading drivers is a simple process. 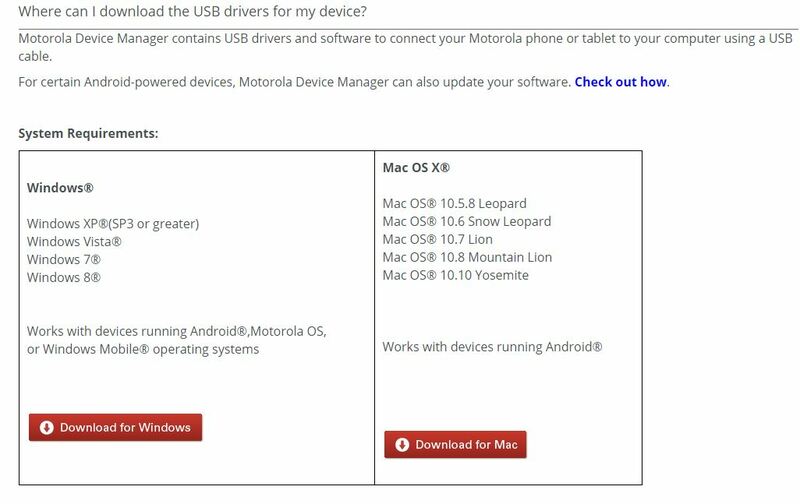 Visit this Motorola Site link and download the drivers on your windows PC or MAC. Select the Appropriate file from the page. One the files is saved on your desktop, run it as any other software that you run on your system. And follow the onscreen instructions to complete the drivers installation process. After successful installation reboot your system to install and work drivers properly. Also, make sure to connect your device to PC with original USB cable. That’s it Now the latest USB drivers are installed on your system!